In what is likely to throw up a gamut of issues related to the legality of permitting a candidate from contesting elections from two constituencies at a single time, a writ petition has been filed before the Hon’ble Supreme Court of India, by the ‘Voters Party’- a political party registered under section 29A of the Representation of Peoples Act 1951 with effect from 03.01.2011, and represented its National president, Mr. D.K. Giri, challenging the constitutional validity of sub-sections (6) and (7) of Sections 33 and 70 of the Representation of the People Act, 1951. The Union of India and the Chief Election Commissioner have been arrayed as the respondents in the writ petition. Section 33 of the Representation of the People Act, 1951, inter alia, provides that a person can contest a general election or a group of bye-elections or biennial elections from a maximum of two constituencies, while Section 70 of the Act, stipulates that if a person is elected to more than one seat in either House of Parliament or in the House or either House of the Legislature of a State (some states have a Legislative Council or Vidhan Parishad as well, along with the Vidhan Sabha), then he/she can only hold on to one of the seats that he/she won in the election. In the writ petition filed by the petitioner through Adv. Usha Nandini V., the petitioner further avers that there have been several cases where a person contests election from two constituencies, and wins from both. In such a situation he vacates the seat in one of the two constituencies. The consequence is that a bye-election would be required from one constituency which would result in financial burden on the public exchequer and the public would be forced to participate in an unwarranted and forced bye-election. The petitioner has thus sought for a mandamus declaring that the provisions under Sub-Section 6 and Sub-Section 7 of Section 33, Section 70 and any other relevant Sections in the Representation of The People Act, 1951 which permits a candidate to contest from two constituencies at a time in a single election are unconstitutional. The petitioner, in his writ petition, has adverted to the Background Paper on Electoral Reforms that was prepared by the Core-Committee on Electoral Reforms, a part of the Legislative Department of the Ministry of Law and Justice in collaboration with the Election Commission and released in 2010, wherein the Election Commission at Issue No.6.5 had expressly recommended restricting the number of seats from which a person can contest from in a particular election. The petitioner says that the Election Commission had also, in fact, proposed that if this provision was not changed, then if a person contested from two seats, he/she should bear the entire cost of the bye-election to the seat that he/she decides to vacate in the event the person wins both seats and that the Governments have not considered this issue seriously and so this provision stands as it is, and the taxpayer money is being used to conduct the bye-election when the candidate wins both seats. The petitioners avers in his writ petition that in all these cases, the politician is clearly seeking to maximise his bargaining power or further career prospects, and the people should not be made to pay for the caprice or political insurance or greed of politicians and that the state should be spared the expense in one of the two ways. First, apart from barring multiple contests, an incumbent in a House must be barred from contesting another election; a candidate vacating a seat in a House must be barred from contesting in a bye-election for the same House, or another House; and a candidate must be banned from contesting for two different Houses simultaneously. Secondly, if any candidate does contest for a second office, or vacates a seat and contests in a bye-election, he / she must be made to pay the cost of that bye-election. 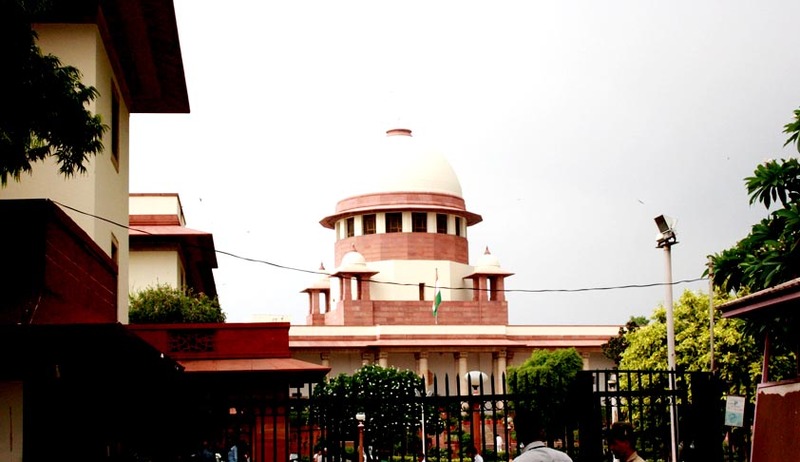 The petitioner has also pointed out that though in 2004, the Election Commission (EC) had proposed to do away with the process of candidates contesting elections from two seats at the same time, the same could not be implemented till date and the interference of the Apex Court is highly warranted. In this context, the petitioner has sought for a mandamus ‘directing the Respondent to implement the proposals of the Election Commission of India to restrict a candidate from filing nomination papers from more than one constituency; alternatively, if the candidate contest the elections from two constituencies and wins from both seats then the entire cost of the byelection for the seat vacated in the particular constituency should be recovered as penalty / fine from the vacating candidate’ and also for a mandamus ‘directing the Respondent No. 2 (Chief Election Commissioner) not to permit any candidate who are holding the post of MLA in any State Legislative Assembly/ Council or Rajya Sabha to contest for the Lok Sabha Election or in any Legislative Assembly election and vice versa’. In view of the impending general elections which is likely to be notified by the Election Commission in the first week of March, the petitioner has also filed an application along with the writ petition seeking a direction to the Chief Election Commissioner, not to receive more than one nomination from a candidate for Lok Sabha Elections and also not to permit any member of State Legislative Assembly or Rajya Sabha to contest the upcoming elections. The writ petition which has been filed today, is likely to come up for admission before the Supreme Court next week.